GeekOut UK is our brand new website in the making – Something we’ve been working on for a rather long time now. As the release of the new website draws ever closer, we’re going to celebrate by showing all of you some snippets of what can be expected of the new site. Today, we’re going to talk about a topic we covered a long time ago, but this time it takes the form of a badge system. It’s been a while since we last provided an update on the status of the new website, which is entirely my fault. Other projects took precedent, when this should have always been the number one project to us. For those of you who are looking forward to seeing the new and improved website, I apologise for the delay, but don’t worry – The website will be as good as we can make it! Now that the fourth anniversary of GeekOut South-West has been and passed, I feel now is the time to unveil what we’ve been working on. Enough with the apologies; let’s focus on what’s been done and what you can expect. We’ll update you all at least monthly! 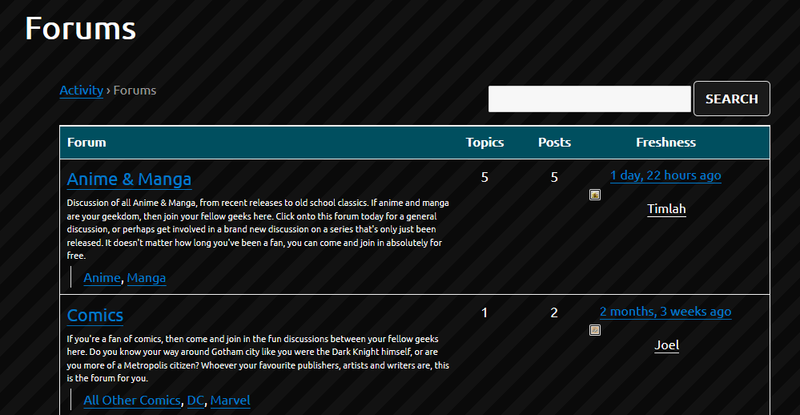 The new website has a fully functional forum, that much has been revealed previously. But what else does the website have? 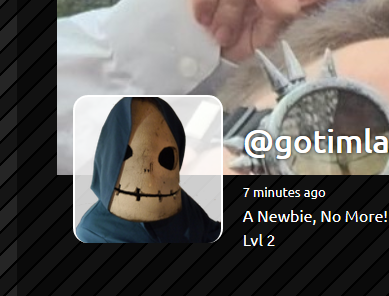 Well, we have a way to reward people for their participation in activities and socialising on the site. Soon enough, I will be unveiling some of the scribblings for designs for our badges, as well as releasing some of the badges we don’t mind showing you all. These designs will be up for debate and will be subject to change – So get your voice heard in the comments below if you have any great ideas for the types of badges you’d like to see! Your name may appear on our thank you page! The badge system is a simple mechanic; you do an action, you get rewarded for said action. You get a badge whenever you hit a level milestone on the website, you also get one for taking part in our Meetups (regardless of where you are in the UK). 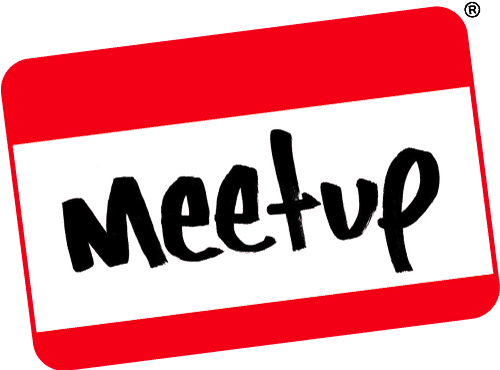 Heck, travel from overseas and you can earn our coveted meetup badge! Get first place in a competition? Great! There’s a badge for you. Talk on our forums? You bet there’s a badge for your troubles! Overall, this is a way to give back to you – A system where you can show off how much you do with us. We appreciate that we can’t spend every day with you all, as much as we’d love to – But, people who earn lots of badges may eventually get some dialogue from us, as there may be special prizes for everyone who earns enough badges. Emphasis on the maybe for now, as we have to see how sustainable the new website is first! But, we’re happy with the recent progress – Something which took a major backbench to everything else. It’s time we get this website sorted, so you can join us on this crazy adventure. I previously mentioned levels, didn’t I? Well, I have made us a level system, using a cool plugin called MyCred. It’s a pretty flexible system, which I am also building into the badge, forum, reading and writing systems. We’re going to offer experience to level up your account via a variety of methods; don’t want to chat to everyone? No problem! Reading our articles offers experience, as does voting in our polls and even attending a Meetup. We’re keen to get people involved however they feel most comfortable, as we know there’s a lot of our GeekOut friends who read the website and never comment. Oh yeah – Your profile image can be transparent. Neat! There’s still a lot to go, but I would rather have a finished product for all of you than to give you all a half-baked botch job. You all deserve a website that you can enjoy as much as I have enjoyed putting it together. There’s been many ups and downs, however we’re slowly trundling towards that ever envisaged end to development. Next time I provide you an update, I hope to share the UK Convention Database – something I want you all to take part in. We’re about to do something huge. In the meantime, share your thoughts and opinions below, or on Facebook or Twitter. This entry was posted on September 24, 2017 by Timlah. It was filed under GeekOut discussion and was tagged with badge system, GeekOut South-West, GeekOut UK, org, Web Development, Wordpress.